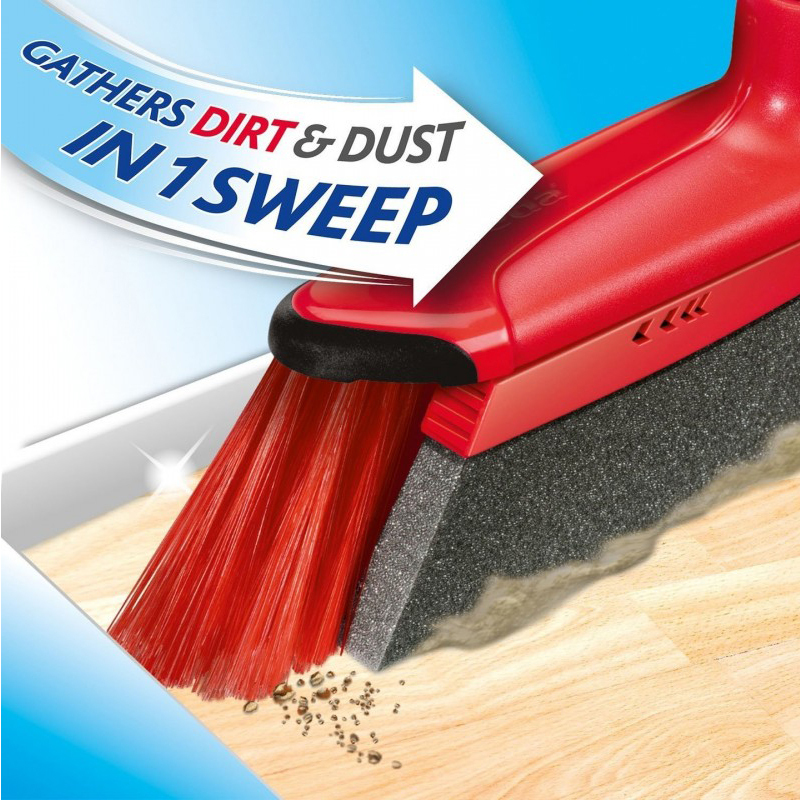 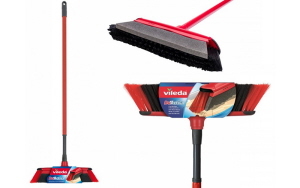 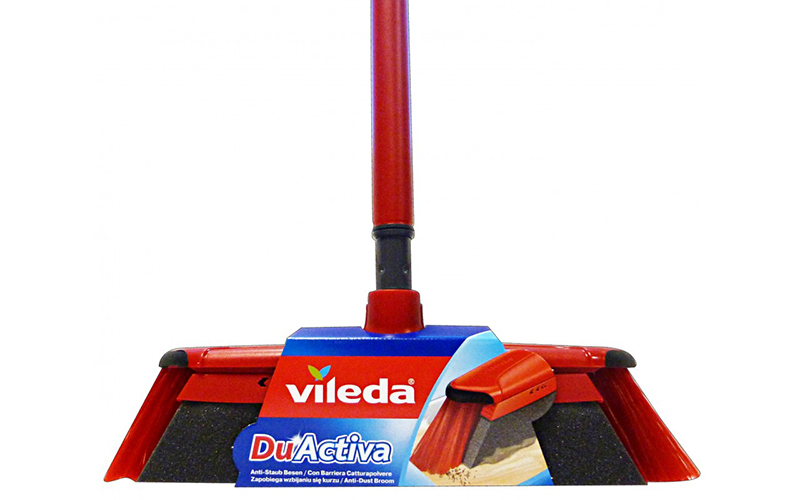 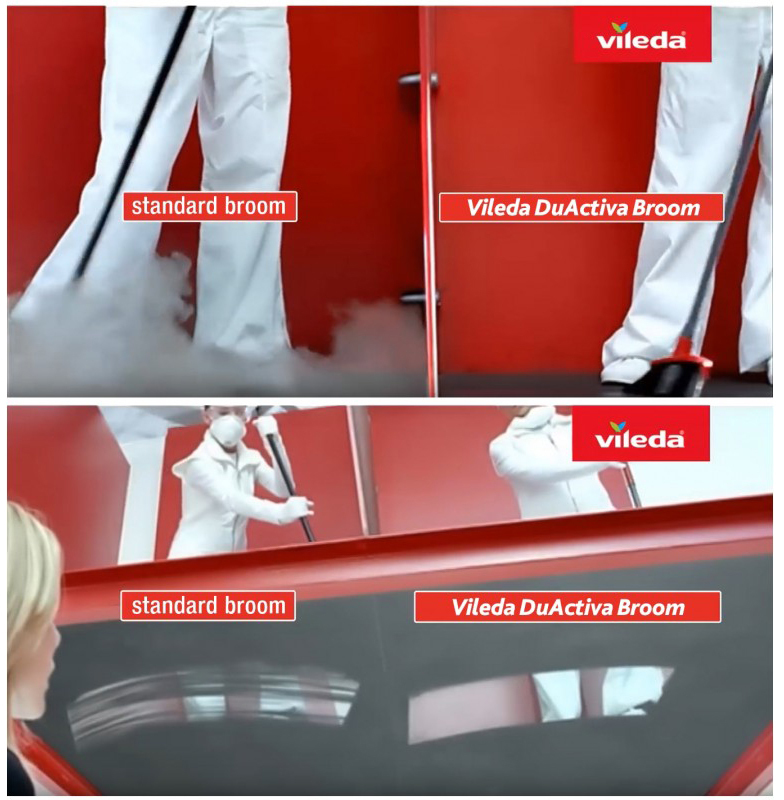 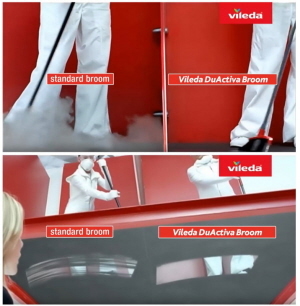 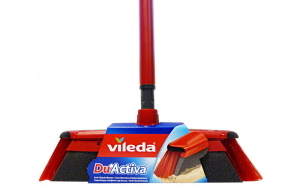 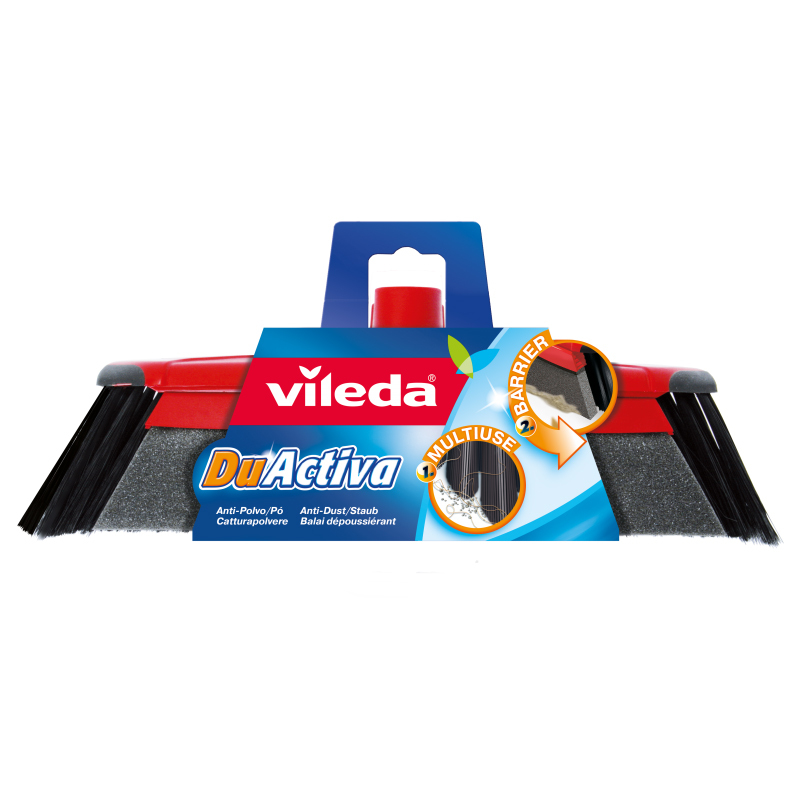 Vileda DuActiva 2-in-1 Anti-Dust Broom with Telescopic Handle gathers dirt and dust in one sweep, without raising dust. 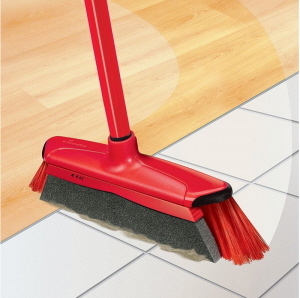 It combines 2 sweeping materials: bristles on one side and electrostatic foam on the other to make sure that no dirt and hair particles left behind in one sweep. 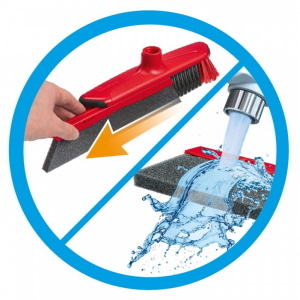 Simply clean foam with water or damp cloth. 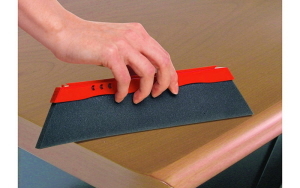 Wooden Floors: foam first. Foam is easy to clean with water or a damp cloth.